Following six months of restoration works, Pentridge developer Shayher Group has announced the restoration of the first of six iconic guard towers will be completed by February. 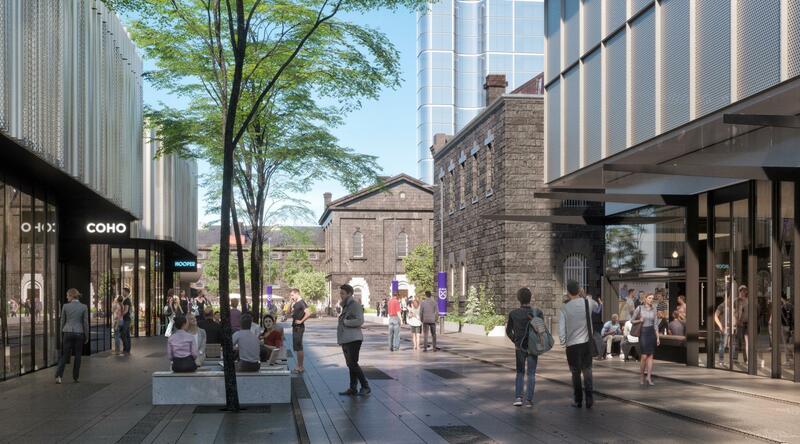 In close consultation with Heritage Victoria, Shayher Group is investing in excess of $2 million to ensure buildings of significant heritage are restored with the view of repurposing the historical site for the local community to enjoy. Shayher Group is involving the community in the restoration process, by inviting local community groups and schools to take a tour of the site to learn about the restoration process and development. “These works ensure Pentridge will live on, rather than be lost to decay,” said Shayher Group project spokesman Anthony Goh. After a thorough selection process, Shayher Group appointed Melbourne heritage builder JBM Group to restore the A-Division roof and heritage architect Bryce Raworth to restore the six guard towers and rock breaking yards, to ensure historical elements of the site would be restored to their former 19th century glory. Bryce Raworth architects and JBM Group conducted extensive research to determine the best methods and techniques to restore the historical elements of the A-Division roof, guard towers and rock breaking yards to what they would have been like in the 1850s. Restoration and conservation works require significant research and inevitably comes with its challenges, such as finding materials to match original construction materials as well as a shortage of experts in traditional construction techniques. To overcome these challenges Bryce Raworth architects and JBM Group used traditional tools and methods including stonemasonry to restore the A-Division roofing and guard towers. Restoration work has been completed on schedule thanks to extensive historical research and restoration with the view of repurposing the site for future community use. “A key criteria we received from Heritage Victoria was to not only restore the historical elements of the site to their former glory, but to ensure that these elements are able to be used in a sustainable manner for future generations to come,” said Shayher Group project spokesman Anthony Goh. 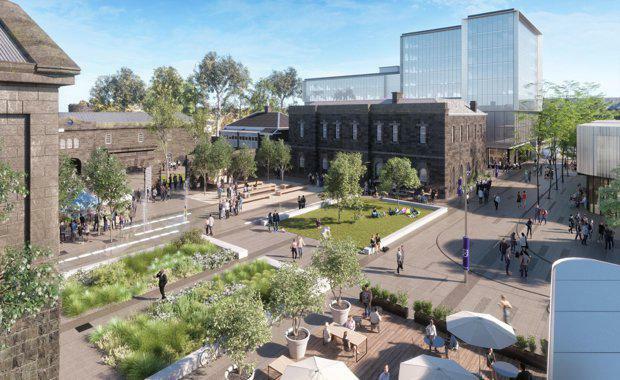 “We are ensuring the Pentridge development will be an asset to Coburg, by already committing the centre of the site as a piazza for markets, community events and performances as well as a retail laneway and dining precinct,” said Mr Goh. This is in addition to several years of significant investment into research to understand the heritage elements of the site, including the completion of an archaeological excavation to uncover any historical artefacts or building footings that hadn’t been previously discovered. The restoration works of all six guard towers and rock breaking yards are due to be completed by mid-2017. Shayher Group’s heritage restoration works are made possible with the expertise of heritage interpretation consultant Sue Hodges of Sue Hodges Productions, heritage builder Bryce Barker of JBM Group and heritage architect Carolynne Baker of Bryce Raworth.